This elegant high quality frame features an elegant beaded border and will look wonderful in any nursery or child's room. Can be ordered with engraving for an added touch. Makes for a beautiful baby gift!Each selection is vividly polished to a gleaming finish. 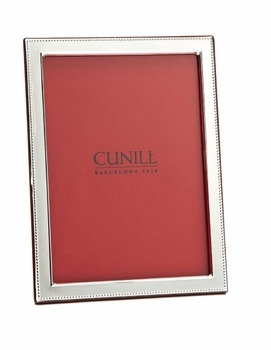 The Cunill quality is unsurpassed - crafted from single sheets of pure sterling silver. Even the backing is a form fitted wood piece that easily lock-in your photo. Signature sterling lozenge latches are a hallmark of Cunill since 1916. 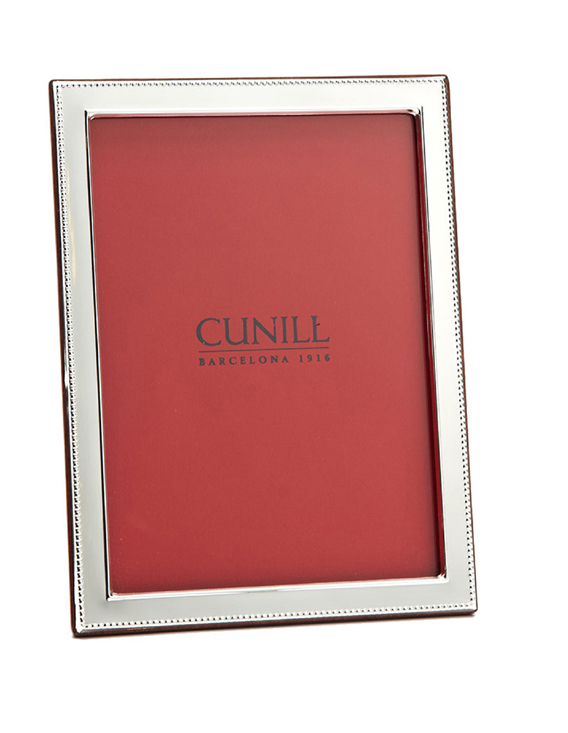 Cunill sterling never needs polishing as it is finely lacquered to keep it tarnish free.